Chronic pain is the most common reason people give when they enroll in state-approved medical marijuana programs. That's followed by stiffness from multiple sclerosis and chemotherapy-related nausea, according to an analysis of 15 states published Monday in the journal Health Affairs. 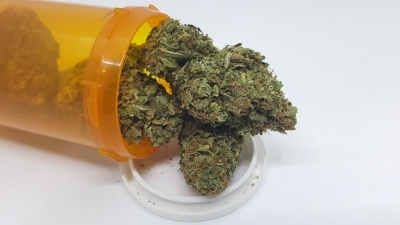 "The majority of patients for whom we have data are using cannabis for reasons where the science is the strongest," said lead author Kevin Boehnke of University of Michigan in Ann Arbor. "Cannabis is the first thing I've found that actually makes the pain go away and not leave me so high that I can't enjoy my day," Smith said.